About 5 years ago, researchers studying historically Black colleges and universities (HBCUs) concluded that enrollment among Black students at these institutions was on the decline. In fact, a report released by the Center for Minority Serving Institutions (CMSI) at the University of Pennsylvania revealed that since the 1980s, the number of Black students enrolling at HBCUs had steadily decreased while the population of non-Black students gradually increased. Subsequently, with the election of Donald J. Trump as the 45th President of the United States in 2016, reports from an array of sources, posited that HBCUs were experiencing an enrollment renaissance. HBCUs started to see increases in enrollment as more Black students began selecting these institutions for their postsecondary education. Anecdotal evidence suggested that the increase was a result of the “Missouri Effect,” a term coined by Dillard University president, Dr. Walter Kimbrough. The Missouri Effect symbolizes the blatant and unapologetic forms of racism and hate crimes that students of color have been subjected to at the University of Missouri and other predominantly White institutions (PWIs) as a result of Trump’s racialized discourse during his campaign and presidency. Prompted by this, my colleague, Dr. Janelle L. Williams, a visiting scholar at CMSI and I received a grant from the National Association for Orientation, Transition, and Retention in Higher Education as well as additional financial support from CMSI to understand if and to what extent, that any of the phenomenon of the Missouri Effect was having an effect on HBCU enrollment. There are plans to visit more HBCUs, though at this juncture of the study, we visited the campuses of three HBCUs that are vastly different from each other and interviewed at least twenty students — freshmen and sophomores — per campus. We specifically focused on those students because they were in the college search phase during Trump’s ascendency to the national political stage. Grambling State University was one of the institutions we visited and we were fortunate to engage Rick Gallott, the current president of the institution, in a conversation about Grambling’s increasing enrollment. During the 2014-2015 academic year, Grambling enrolled approximately 4,504 students. Since 2016, the number of enrollment applications Grambling has received grew from 7,851 in 2016 to 8,446 in 2018. Today, the rural campus enrolls roughly 5,205 students. President Gallott attributed Grambling’s increase in enrollment to three factors — alumni aiding in recruitment, current racial climate under President Trump, and unique academic programming at Grambling. President Gallot’s discussion about the critical role that alumni are playing in Grambling’s recruitment process is noteworthy for several reasons. First, when we read about alumni giving back to an institution, particularly HBCUs, often highlighted in the literature is the need for graduates to give back financially. However, time can be as beneficial if not more as money. A 2018 report recommended that HBCUs consider this as a recruitment strategy. Further, we just witnessed the power of alumni and others coalescing around a common goal to support Bennett College financially, what if this principle was applied to recruitment? President Gallot’s comment recognizes that alumni can give back to an HBCU in varied ways. Second, HBCU literature also notes challenges or dissatisfaction that HBCU alumni have with customer services on campus. While we do not have knowledge about the alumni experience of students at Grambling, from President Gallot’s interview, we do know that there is a strong sense of pride and enthusiasm among alumni, aka #GRAMFAM and a commitment to ensure that the institution is not just surviving, but flourishing. At the very minimum, a bachelor’s degree is a 4-year commitment, and as President Gallot articulated, students want to belong to an inclusive, non-hostile community, campus and institution where they are “celebrated and not tolerated,” while receiving a high-quality education. Spending four years in a hostile environment can be emotionally challenging, psychologically draining and counterproductive to a learning environment. Grambling State University truly embodies this, their motto “Where everybody is somebody!” from students, to staff, to faculty and administrators ─ Grambling truly makes everyone feel welcome ─ regardless of race, nationality, sexual identity or religious affiliation. Lastly, president Gallot spoke to the unique positioning and academic programs housed at the institution, including 40 distinct undergraduate and graduate programs. A new undergraduate program is on schedule to be released in the fall of 2019. Regardless of the reason for the enrollment renaissance, HBCUs, including Grambling State University, are now in a position to capitalize on the increased enrollments to showcase on a national stage with a contemporary context, the many positive features of these great institutions to new students, and the next generation of HBCU graduates. 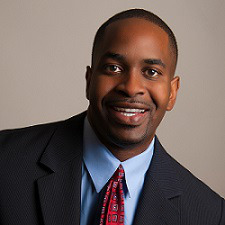 Dr. Robert T. Palmer is chair and associate professor for the Department of Educational Leadership and Policy Studies in the School of Education at Howard University. 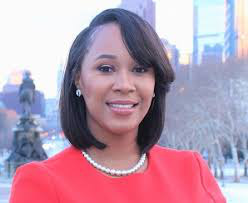 Dr. Janelle L. Williams is the assistant director for Health Policy at The University of the Sciences in Philadelphia and a visiting scholar at the Penn Center for Minority Serving Institutions. In addition, she currently serves on the Board of Directors for the Cheyney University Foundation.